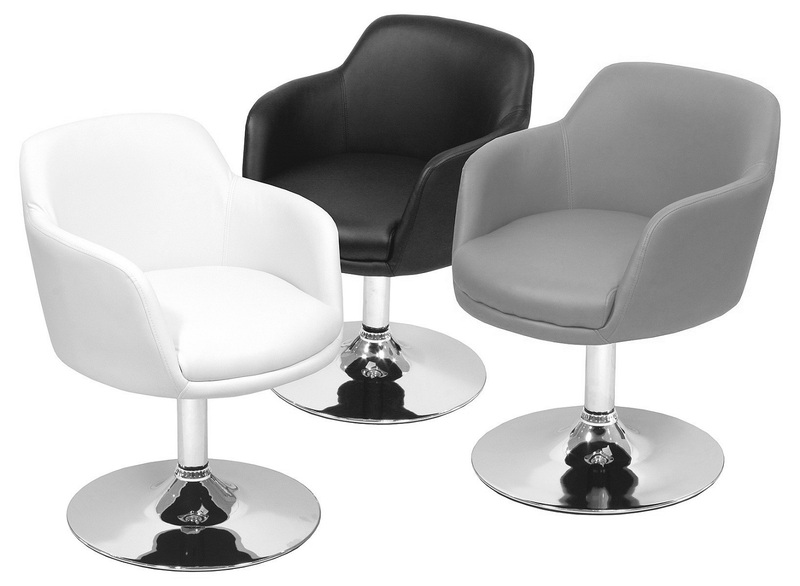 The Bucketeer dining chair is instantly bold and eye catching. 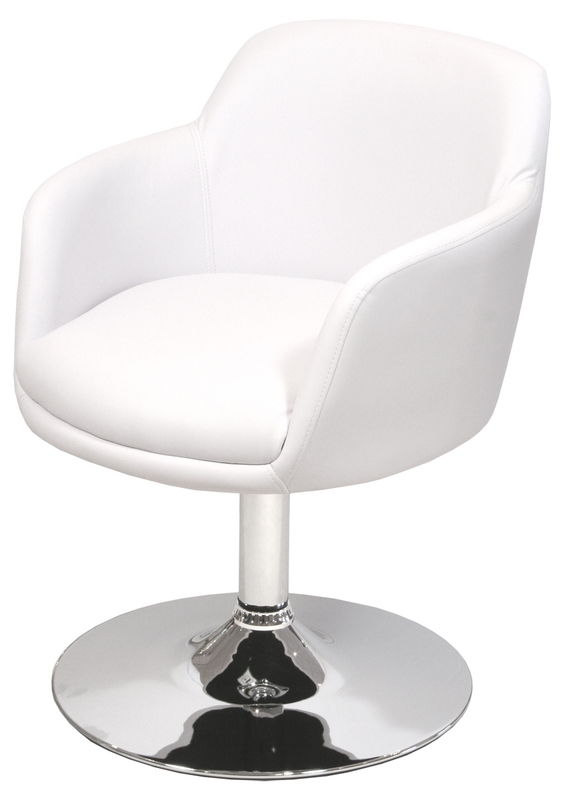 The side arms are molded into this designer chair and angled very nicely for maximum comfort. 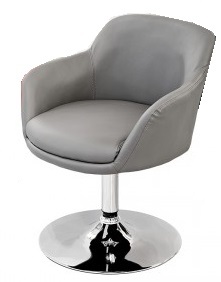 The chair is finished in a luxury faux leather with a polished chrome base.